MassRoots Inc, the company behind the cannabis-friendly social media network called MassRoots, continues to make headlines, although not for the right reasons. It is not easy to operate a business in the cannabis space, and MassRoots have been on an uphill push from the very beginning. However, as time goes on, things don’t seem to get better at the Denver, Colorado-based social network. In a dramatic chain of events, longtime CEO, Isaac Dietrich was ousted by the board last month. Revenue for the third quarter has dropped nearly 100% and MassRoots Inc. needs $2.5m or more by the end of the year to stay afloat. Raising money at this point might be a challenge. The recent drama with the CEO change and the financials for the last quarter do not help. Third quarter revenue last year (2016) was $209,003 while the company only generated $11,516 revenue in the third quarter of this year. On the other hand, operating expenses were $2,094,211 in the third quarter last year and increased to $7,533,530 for the same quarter this year. In the light of last quarter’s financial performance and change in leadership, investors may think twice before they put their hard-earned cash into MassRoots Inc.
Investors need to see positivity though and the MassRoots board approached the earnings positively and put the emphasis and focus on moving forward. “Moving forward we intend to focus our efforts to push the business to cash-flow positive as quickly as possible by maximizing revenue streams from the investments made over the last three years and continuing our cost-cutting efforts,” Scott Kveton, the recently appointed Interim CEO was quoted by Business Insider. 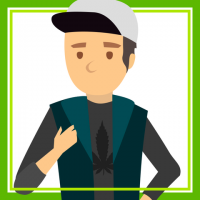 Cannabis and Social Media Networks: Are they a Good Match? Directors also projected a positive picture for the future. “The Q3 financial results do not reflect what we believe to be MassRoots’ potential and reaffirms the board’s decision last month to make a leadership change. In this regard, we have asked our interim CEO Scott Kveton to refocus efforts with the plans he has put into motion for a direct-to-consumer & B2B play by leveraging our installed base of users and recent acquisitions.” Board member, Vincent Keber was quoted. Despite constant challenges since its start in April 2013, MassRoots has amassed 1 million users on its Instagram-like, picture- and video-based social media platform. That user base should provide opportunities for advertising, however, there was only $11,516 revenue coming in. It could be a concern that the company may not be focusing on the right thing. May not be focusing on making the most of its unmatched user base in the cannabis space. MassRoots acquired Whaxy (a software company for cannabis business for end-to-end transaction automation) in January, and in July they bought Odava, a -point-of-sale cannabis software company. None of these acquisitions contributed to the third quarter revenue, which all came from advertising. Might be exciting investments in a long-term although, generating cash is the immediate priority at the moment. 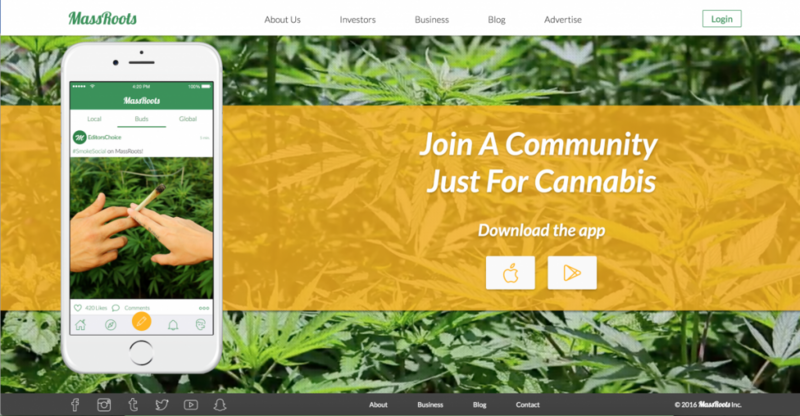 None of the big social media platforms allows advertising for cannabis businesses, putting MassRoots into a unique situation, however, it seems to be having a challenge making the most of its advantage. Having over a million users should enable the company to generate greater advertising revenues and we’ll see during the next few months if the new leadership will be able to pull it off. Why are Californian Dispensaries Pulling Their Products off the Shelves?